A riveting, powerful debut novel from an award-winning adventure writer: the story of a pilot surviving in a world filled with loss—and of what he is willing to risk to rediscover, against all odds, connection, love, and grace. This is a really enjoyable read and differs from many post-apocalyptic tales in that it remains down to earth, focusing on the more mundane aspects of survival rather than a major dramatic element. The reader is instantly drawn into Hig's world thanks to a compelling narrative that at times borders on stream of consciousness. Hig doesn't always think in complete sentences, his thoughts are scattered, ever changing, and that really adds to the sense of reality in the piece. The reader shares his moral dilemmas and indecision, but we also share his joys and small pleasures. There is plenty of sadness in this book, but there are uplifting moments too. All in all, it is a commentary on the human spirit and how it faces adversity. This is a great read for those looking for something more thought-provoking than killer zombies in their post-apocalyptic dramas. 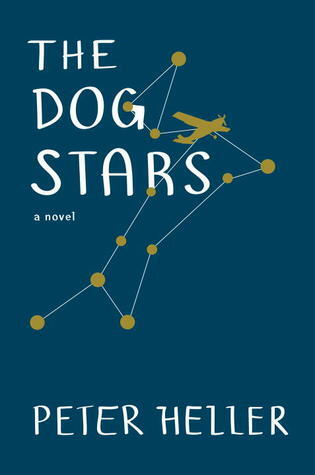 The Dog Stars is an amazing debut and I certainly hope to see more from this author in the future. I was kept fully engaged by this story, and, as a pilot of small planes, the added dimension of the flying sub-story heightened my enjoyment.